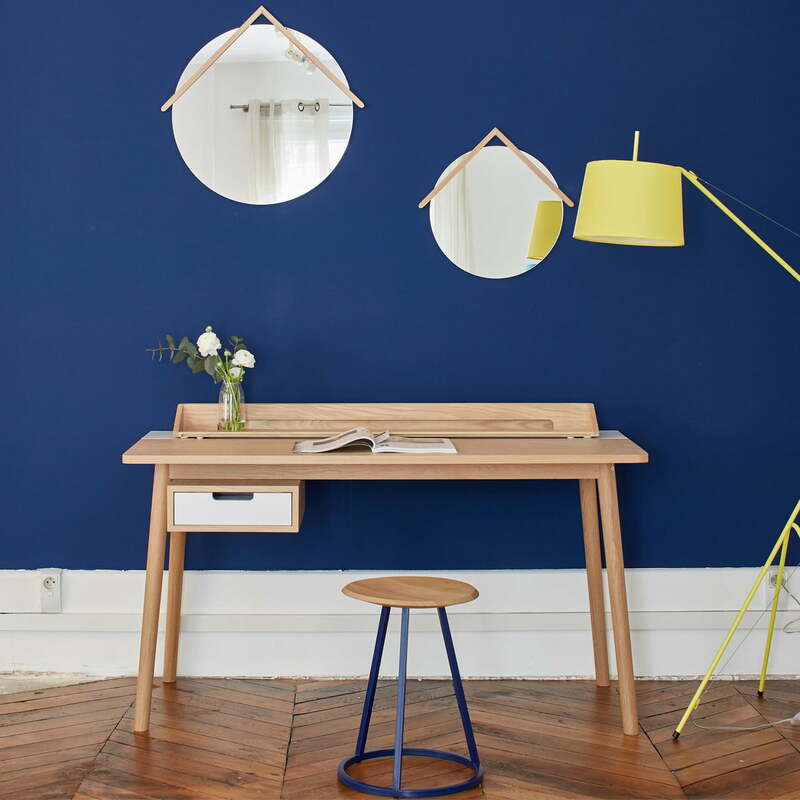 The Honoré Desk by designer Pierre-François Dubois for Hartô is a functional and simple desk, which becomes an interesting working space through its combination of oak wood and colored elements of drawer and back wall. 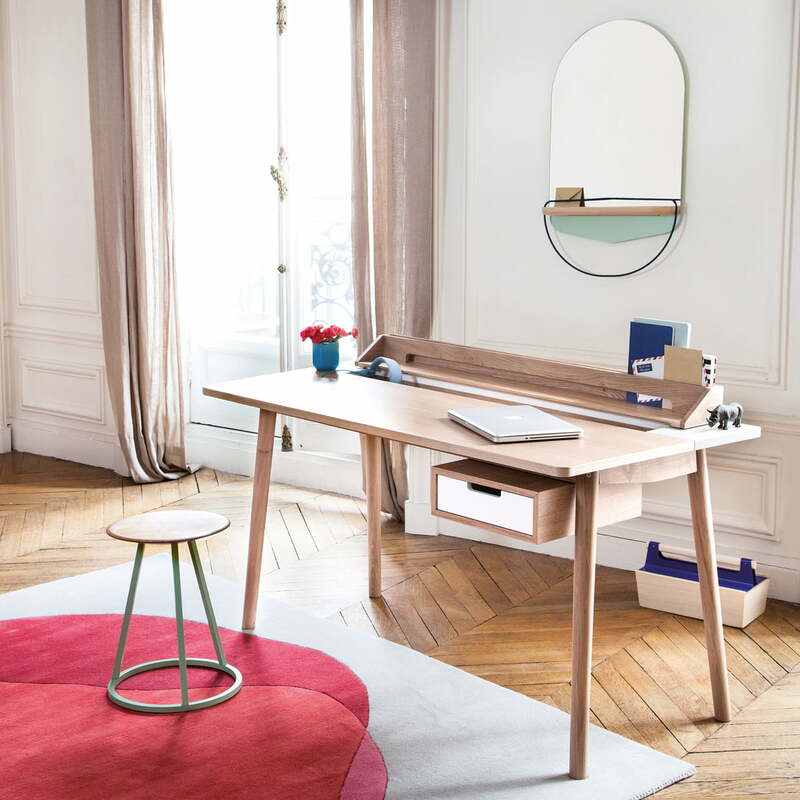 Honoré consists of a four-legged frame, a drawer and a worktop, on which a panel is attached. The worktop is moveable: Below the worktop is a niche with cable access (one on each side), in which for example a multiple plug can be accommodated. Furthermore, any office supplies can easily be stored there. The rigid part of the plate is colour-lacquered. Cables, chargers and office supplies are hidden deliberately, to emphasise the connection of the oak and the colour and to retain the look of the sleek, minimalist design. 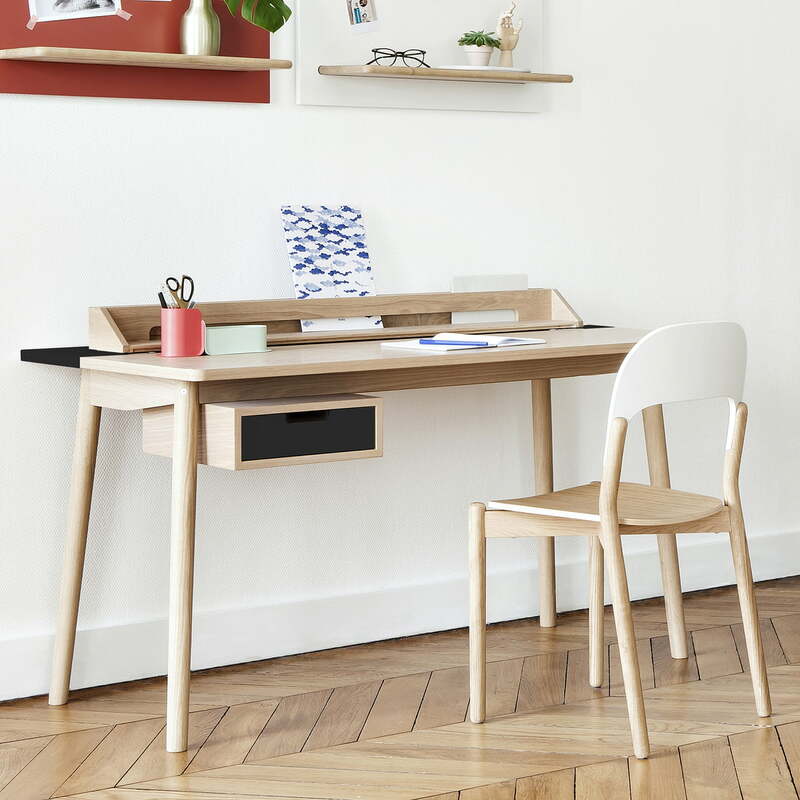 The drawer of the desk Honoré offers space for documents and can be applied on the right or left below the table. It is equipped with a soft-close system and closes smoothly. The drawer becomes an eye-catcher by its the colored lacquering. Console and feet of the Honoré Desk by Pierre-François Dubois for Hartô are made of solid oak. The worktop is made of veneered MDF oak and is covered with a matte finish. Drawer and back of the worktop are colour co-ordinated and lacquered with a silky gloss finish. 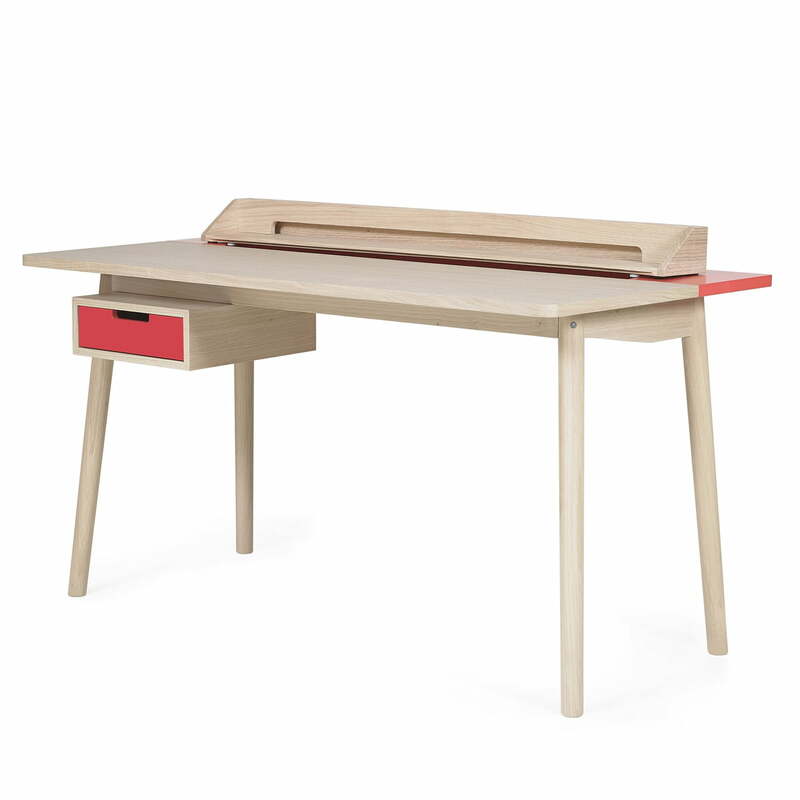 Single image of the Honoré Desk by Hartô which is made of solid oak and veneered MDF oak wood with colored elements in strawberry red (RAL 3018). The worktop offers a niche for cable access points. Single image of the Honoré Desk by Hartô which is made of solid oak and veneered MDF oak wood with a drawer and a back piece in blue. 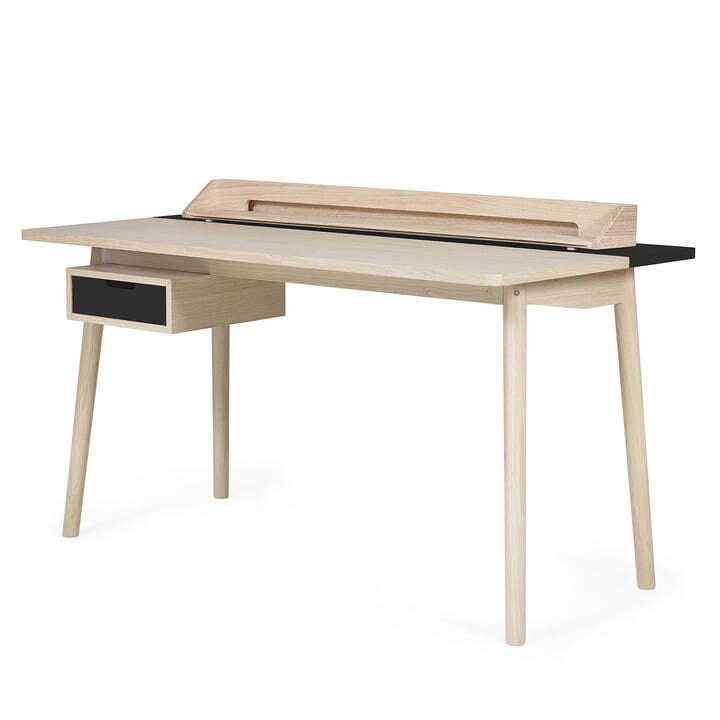 Console and feet of the Honoré Desk by Pierre-François Dubois are also made of solid oak. Worktop with Storage Space for Cable and Co.
Below the worktop is a niche with cable access (one on each side), in which for example a multiple plug can be accommodated. Cables, chargers and office supplies are hidden deliberately, to emphasise the connection of the oak and the colour and to retain the look of the sleek, minimalist design. 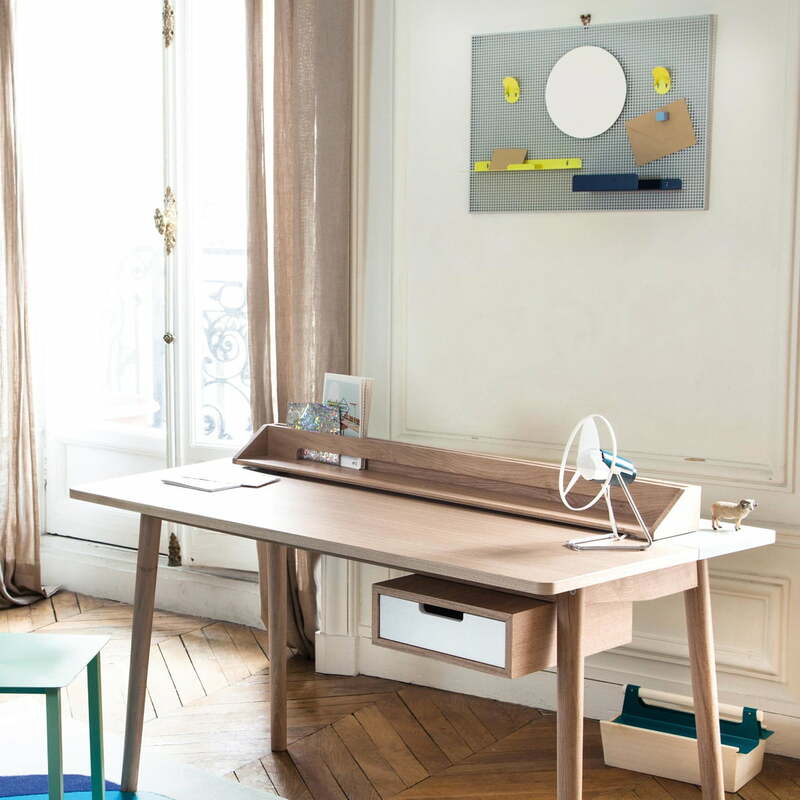 The Honoré Desk by Hartô consists of a four-legged frame, a drawer and a worktop, on which a panel is attached. The shapely worktop is an eye-catcher in every working space. Cables, chargers and office supplies are hidden deliberately, to emphasise the connection of the oak and the colour and to retain the look of the sleek, minimalist design.